Registration Details: Private company established under the Portuguese legislation. Headquarters: Rua Professor Augusto Nobre, N.º 451-B, 4150-119 Porto, Portugal. Owner of the website www.winetourismportugal.com: WINTP – Wine Tourism in Portugal. Anyone who accesses, browses and uses the portal www.winetourismportugal.com is considered a user that acknowledges and consents that has read, understood and agreed to the terms and conditions set out below. The booking of services included in this portal shall be governed, besides these terms and conditions, by the specific conditions set out by each economic agent of the participating sector (hereinafter referred to as "Partner") that will be available during all booking process regarding, particularly but not limited to, the cancellation policy, no show and use of facilities. These terms and conditions may be rectified whenever necessary, and apply to all our services which are available online, by e-mail, by phone, chat or through any mobile device. You should check this page regularly to ensure you are acquainted with the latest version. The terms and conditions are translated into several languages, but the Portuguese version will prevail in the event of any conflict. It is strictly forbidden to use the portal for illegal purposes, including its modification, reproduction, copying or distribution. The portal www.winetourismportugal.com reflects a new concept of promotion and sale of services and products to the public, taking advantage of the best that partners can offer, which correspond to the quality levels set by the standards of Wine Tourism in Portugal (hereinafter, referred to as "WINTP"). Through this portal we provide an online technological tool, from which partners can advertise their services and products for booking, and visitors/users can make their bookings and online purchases by selecting their choices (hereinafter , referred to as "Our Services"). Although we have made every effort to ensure that all information provided on the website is true and accurate, WINTP does not accept liability for any errors. No warranty, express or implied, is given that the information provided on the portal is error free. All information, changes and information updates (including the descriptive text, prices, availability, bedrooms, experiences, packages/programs) must be made online directly by the partner via "extranet" (online system to which the partner can access through the portal) or other similar ways suitably indicated by the portal, are the sole responsibility of our.partners. Although all information provided and introduced by our partners in the portal is verified by WINTP in the course of our services, the company is not responsible for any errors (including spelling errors), any interruptions (whether temporary collapse and/or repair, update or portal maintenance or otherwise), inaccurate, misleading and false information, or failure to provide information. For this reason, WINTP reserves the right to cancel, amend or replace a service on the portal www.winetourismportugal.comat any time. The prices shown on the portal www.winetourismportugal.com are highly competitive, negotiated between WINTP and partners, and are shown including all taxes, charges, surcharges and taxes (such taxes are subject to changes), unless is otherwise stated on the website or in the booking confirmation e-mail. The prices on the portal are shown in the local currency of our partners (Euro). Sometimes there are lower rates available on the website for a specific service from a partner. These rates established by the partners can lead, however, to restrictions and special conditions, for example concerning cancellation and refund conditions. Please read carefully the description of terms and conditions and rate of the service rate before making your booking. Our service is free. You will not be charged additional fees at any moment when you make a booking through our portal. Before booking a service on www.winetourismportugal.com, you must register on the site by providing personal information, so you can use some of the portal resources (eg, making a booking). The registration is free and you will be automatically registered in our Newsletter. The user is responsible for keeping the confidential nature of the account password and for all the activities that occur in his or her account. We reserve the right to terminate your account at any time, with or without a reason to do so. You must be at least 18 years old to register on the portal and make a booking. At the moment you make your registration on www.winetourismportugal.com you should provide accurate and updated information. WINTP will not be liable in case a service you have booked cannot be carried out due to incorrect information. In this case, the price paid can not be refunded. It is not allowed the registration of more than one user account (username and login) for the same natural or legal person. The user account is not transferable. The wine tourism in Portugal has very specific characteristics: on one side and regarding the hotels, these are mostly small units and, on the other side, some of the activities that are available on our portal require a great preparation to ensure the quality of services provided. Therefore, the availability for an immediate booking may not be guaranteed. The booking of services and products on the portal is immediate, unless we get an invalid and / or incorrect information from your credit card regarding payment. Your booking will be irrevocably binding by clicking "Confirm" on our portal. We will send you the confirmation of your booking by e-mail, so you have to provide us a correct e-mail address.Please read carefully and check all information in our confirmation e-mail to ensure that is in compliance with your booking. You must present this confirmation e-mail on your arrival to our partner to enjoy the service you have booked: (i) in the event of an accommodation booking, you must also present your ID card or valid passport at check-in; (ii) for bookings of other types of services, you should arrive on time and, in case you cannot attend at the scheduled time, you should communicate your delay. This delay can lead to cancellation of your booking. The booking of services and products in the portal in this case is not immediate (the deadline for the confirmation will be informed to you during the booking process). Your booking will be irrevocably binding, by clicking "Confirm" on our portal. First, we will send you the details of your booking by e-mail (first e-mail) and later we will send your Booking Status (confirmation or non-confirmation) in a maximum of 48 hours (second e-mail). In case the non-confirmation is due to unavailability of dates, we will make every possible effort to provide you a comparable alternative, but the acceptance of this alternative will depend on you only.In this case, will be notified for the acceptance or non-acceptance of the alternative offered via e-mail and, in the event of accepting, you must make a new booking on the portal. You should provide us a correct e-mail address so we can deal with all this process.Please read carefully and check all information in our e-mails. You must present these confirmation e-mails on your arrival to our partner to enjoy the service you have booked. You should arrive on time and, in case you cannot attend at the scheduled time, you should communicate your delay. This delay can lead to cancellation of your booking. In this case, you will be asked to fill out a booking form. You must provide all the necessary data for your booking. When you submit a "Under request" booking, we will make a budget regarding your particular request (eg. the amount concerning the desired number of nights). We will send you the confirmation of your booking by e-mail, in a maximum of 48 hours, so it is your duty to provide us a correct e-mail address. Please read carefully and check all information in our confirmation e-mail to ensure that is in compliance with your booking. In order to guarantee the booking, WINTP will request the payment of the booking by credit/debit card or bank transfer. Please refer to number "7. Payment" in this document. You must present the confirmation e-mails on your arrival to our partner to enjoy the service you have booked: (i) in the event of an accommodation booking, you must also present your ID card or valid passport at check-in; (ii) for bookings of other types of services, you should arrive on time and, in case you cannot attend at the scheduled time, you should communicate your delay. This delay can lead to cancellation of your booking. You can check all the information concerning your booking on your reserved area "Manage my Bookings" at any time. This reserved area can be accessed by the link on top of the portal page or by the link provided in the e-mail with the details of your booking. It is the responsibility of all users, regardless their nationality and destination, to become aware of the entry requirements for Portugal through the embassy or consulate. Visa and health requirements are subject to change without notice, therefore we recommend that you check the requirements before departure. Clients should have in good order their personal or family documentation (identity card, military documentation, authorization for minors, passport, visas, certificate of vaccinations and other that might be required). WINTP accepts no liability for the refusal to grant visas or denying entry permission to the client in Portugal; in these cases we will apply the conditions set out under "8. Cancellation and No Show”. Any and all costs that this situation may entail are responsibility of the client. The prices shown do not include insurance. Users are responsible for the insurance concerning their experiences. Neither WINTP nor our partners may be liable for expenses or losses that may occur by the acquisition of an inadequate insurance. We also recommend you to contract a suitably insurance for your experience when booking. If users do not pay for the service booked, or revoke their payment, their claim concerning the benefits of the service will be omitted. This will be considered as a cancellation and subject to the conditions inherent to number "8. Cancellation and No Show". All communication regarding bookings must be made through the WINTP booking platform. The messages that are not operated by WINTP booking platform can not be accepted and are devoid of legal content. Claims will only be considered when received by registered letter to WINTP - Wine Tourism in Portugal, Lda, for a maximum period of 15 days after the end of the experience. When you book services and products through www.winetourismportugal.com, you will have to provide your credit/debit card information as a guarantee for your booking. Your credit card/debit card data will be validated even before the confirmation of availability. The full amount of your booking will be charged to your credit/debit card only after the confirmation of availability of the partner(s). If the confirmation is not immediate, the total price of the booking will be held until the arrival of the confirmation. The payment will be registered in the statement of your credit/debit card as WINTP - Wine Tourism in Portugal, Lda. Please remember that when you make a booking through the website, it will be considered as unconditional and irrevocable authorization and consent of the release of data of your credit/debit card in order to guarantee your booking. WINTP will not charge any service fee for the processing of payments with credit/debit cards. However, and as it is located in Europe, some banks may charge a transaction fee for international payments with credit/debit cards. Please contact directly with your card issuer for more information about transaction fees. When making a reservation through www.winetourismportugal.com, your must make a 50% deposit of the total booking. The remaining balance must be paid until 45 days prior to arrival date. Payment will be made in Euro at the exchange rate of your country at that time. Company: WINTP – Wine Tourism in Portugal, Lda. The bank transfer proof should be sent to: reservations@winetourismportugal.com. The amount transferred must include the fees related to the bank transfer. The prices shown on the portal www.winetourismportugal.comor by other means provided by WINTP (e-mail, phone, chat, skype, etc.) include VAT at the time of booking. Payment will be made in Euro (€). WINTP accepts the following debit and credit cards: Visa and Mastercad. Payments made by credit/debit card will be identified in the account statement as WINTP - Wine Tourism in Portugal, Lda. 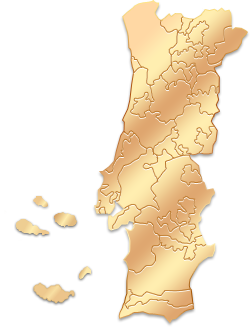 The general conditions of cancellations and no show are shown on the portal www.winetourismportugal.com in the area of each service and during the booking process. These conditions are also specified in the booking confirmation email. Please note that certain prices/rates or special offers available on the portal cannot be cancelled or changed. Whenever you make a reservation through WINTP, you accept and agree with the payment, cancellation and no show conditions, as well as with any additional terms and conditions that may apply to your booking. Please read carefully the payment, cancellation and no show conditions of the partner in question before you complete your booking. Cancelling a booking with WINTP may entail cancellation fees. - Cancellations up to 45 days prior the experience / check-in date: Non-refundable deposit (up to € 1.000 the deposit will be the total amount). - Cancellations less than 45 days prior the experience / check-in date or no show: a 100% cancellation fee of the total booking price will be charged. - No show: a 100% cancellation fee of the total booking price will be charged. A partner may cancel a service booked if the weather conditions, governmental, accidental or unavoidable actions or external circumstances jeopardize the attainment of the service. This cancellation will be carried out under exclusion of any compensation for damages or other claims under what legal basis whatsoever. A partner may consider as a "No Show" if the client does not arrive to the place of the experience at the time set as the start time of his or her experience (the time specified in the booking confirmation email). In this case, there will be no refund. If you wish to review, adjust or to cancel your booking, you should follow the instructions provided in the booking confirmation email. The WINTP team will process the requested changes with the minimum of delay, however, all changes are subject to availability and, therefore, WINTP cannot guarantee the achievement of any request for reservation changes. WINTP will not request the cancellation of your original booking, except in case of a schedule change. Otherwise, the original booking must be cancelled and you have to make a new booking. The price applicable to the new booking will be the price at the time of booking. The change of booking or its cancellation may involve additional costs. Please refer to number "8. Cancellation and No Show" in this document. No refunds will be paid for any unused service or for any experience that has already started or that does not meet the cancellation periods shown in number "8. Cancellation and No Show". Failure to comply with the payment on the date (s) and the value (s) established between the customer and WINTP at the time of booking does not give the customer the right to be reimbursed and gives WINTP the right to proceed to the cancellation of the mentioned reservation. The failure to provide the expected services at the experiences for reasons not attributable to WINTP and its partners, and in case that is not possible to replace them by other equivalent services, does not give the client the right to be refunded for the difference between the price of the expected services and the ones actually rendered. Whenever there are compelling reasons, WINTP can change the order of the tours/experiences, to change the time of departure or arrival or replace any of the expected hotels by others of a similar category. If, by facts not attributable to WINTP and its partners, the latters will not be able to fulfil some of the essential services that are part of the tour/ experience, the client has no right to give up the tour/experience. If such facts are attributable to WINTP and its partners and will cause the cancellation of the trip, the client can also choose to participate in other organized tour of equivalent price. If the proposed tour/experience organized to replace the former is of lower price, the client will be refunded the difference. The client may transfer his or her booking, being replaced by another person who fulfils all the conditions required for the experience, by giving notice to WINTP at least three days in advance and since the service providers will accept the replacement. The transfer of the booking will jointly held liable the transferor and the transferee for the payment of the experience and any additional charges resulting from the transfer. Booking: When booking services and products on the portal www.winetourismportugal.com, you will receive a confirmation message (via e-mail) with all information about your booking (including terms and conditions). After you receive the confirmation e-mail, please read carefully all the information to ensure that it is in accordance with your booking. It is advisable that you take this document to the partner in question as a guarantee of the booking. The partner may refuse the service to any client who is unable to show his or her booking confirmation e-mail at the beginning of the experience. In case you haven't received the e-mail, you should check your SPAM folder or the Promotions folder (if you use Gmail). If you haven't still received the confirmation e-mail after a few hours, please contact us at contact@winetourismportugal.comso we can check the problem and send you a new e-mail. Clients reviews: WINTP will send to all its clients a message (via email) at the end of the experience(s), asking them to complete a clients review form. By completing the form, you agree that the information (text and photos) can be used, fully or partially, on the portal or other social media platforms, newsletters, special promotions, applications or other channels for the marketing, promotion or improvement of service made available by WINTP. WINTP reserves the right to adjust, refuse or remove reviews, according to the criteria that has set out. These comments have the sole purpose of informing prospective clients about the quality of services and products available on the portal. The portal www.winetourismportugal.com offers a specific area for the user to access the Online chat. This means of communication available on the portal allows a dialogue channel between the user, the team of expert technicians and a tourism technician or oenologist to answer questions in real time. The portal www.winetourismportugal.com provides the registered users the possibility to see and change their personal data, as well as checking the bookings that they have already made. After your first visit, the portal offers you an exclusive and restricted area at the "Home Page" with the last partners that you have viewed. WINTP uses SSL protocol to encrypt and protect your credit /debit card information. However, any losses during the transmission of information will be taken only and exclusively by the user. WINTP has the right to cancel any bookings if there is reasonable suspicion that there was misuse of the portal, or if the identity of a client or his or her banking and personal identity have been stolen. (vi) for any (personal) loss, death, damage to property or others (direct, indirect, special, consequent or punitive) damages, losses or costs borne, incurred or paid by you, whether due to (legal) acts, errors , offences, (gross) negligence, intentional misconduct, omissions, non-compliance, false information, crime or absolute liability for or by or attributable (fully or partially) to the partner (its employees, directors, managers, agents or representatives), including any (partial) cancellation, overbooking, strike, force majeure or any other event that is beyond our control. All software required for our services, made available or used by our portal as well as the intellectual property rights (including copyright) of the contents published on the portal, including, but not limited to: text, logos, images, videos and audio, website structure, texts, graphics, banners and buttons, among others, are property of WINTP and its suppliers or providers, unless otherwise stated. Its use by any means and in any form, is strictly prohibited without the prior written consent of WINTP. The breach of the aforementioned rights will result in taking immediate legal action against offenders. By using our services, you agree to comply with all laws, statutes and regulations regarding the use of our services, exempting us from any liability. Any disputes between users and partners regarding costs, quality of the services, facilities or other matters, will remain private between the parties of the contract, and will exclude any engagement of WINTP. The contents of the portal www.winetourismportugal.com and all bookings made through our services shall be governed by the Portuguese law, as well as these terms and conditions and any dispute, controversy, proceedings or claims of any kind relating to them. For any legal issue that may arise from this contract, the competent court is court of the District of Porto, Portugal. WINTP thank you for the trust you placed in us when you chose the portal www.winetourismportugal.com to book services and enotouristic products in Portugal. Our company understands the importance of privacy and respects the confidentiality of your personal data (including your credit card information).